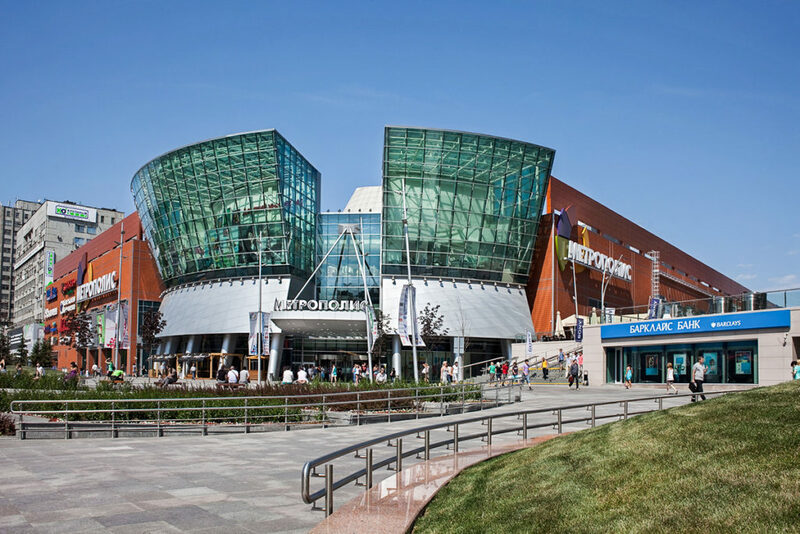 Moscow like any other great capital is not only a cultural center of the huge country but a shopping center as well. Malls, boutiques, markets, online stores. In this city you can definitely buy anything you need. These kind of places are similar in every city. Fashion brands, food courts, cinemas and so on. Better visit shops during working days as they can be overcrowded on weekends. Tsvetnoy is always thought of as a very special and unique place for shoppers and those who want to rest in beautiful places. Mall sets together outstanding fashion brands and hottest domestic and international talents from various market levels and price points. In addition, this place has a food market, bars and cafes. 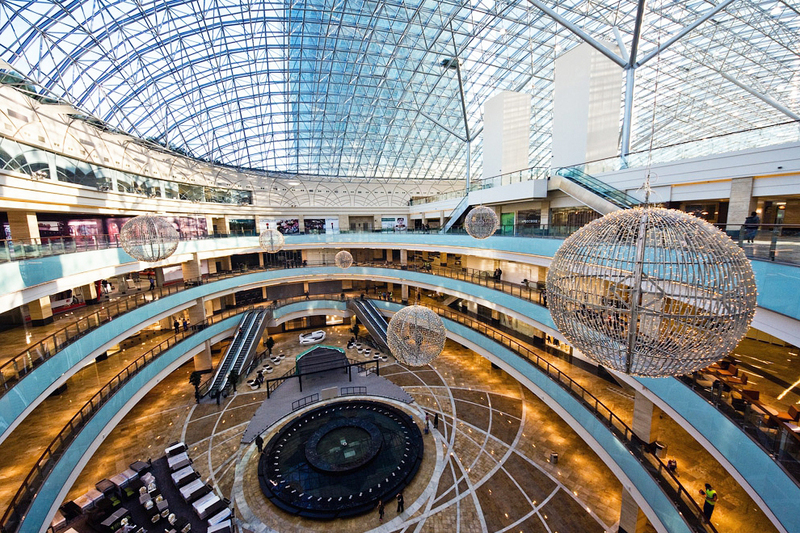 Afimall is one of the biggest and newest malls in Moscow, located in the Moscow City – the business district of Russian capital. Here you will find more than 400 shops, 50 restaurants and cafes, a multiscreen cinema, and children entertaining center. Exhibitions and other cultural events are also held there. Metropolis is situated near Leningradskoe shosse – a road that connects the very center of the city with Sheremetyevo airport. It is a modern shopping center, with more than 250 shops, including Stockman department store and restaurants located on three floors of the center. There is also a multiscreen cinema and a bowling club for your entertainment. 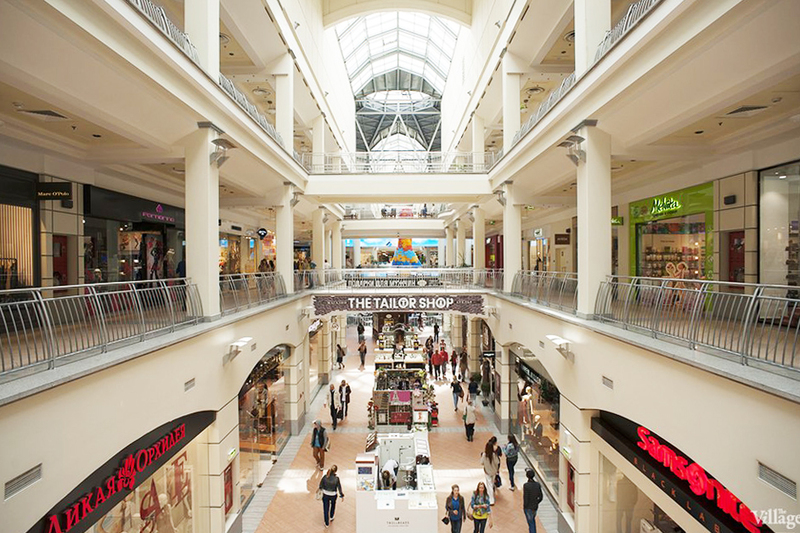 Atrium, one of the oldest Moscow malls, is situated at the Garden Ring, near Kursksiy Railway Station. Within its area of 103 000 square meters, you will find hundreds of shops, a cinema and entertainment complexes, 24 hour supermarket and much more. 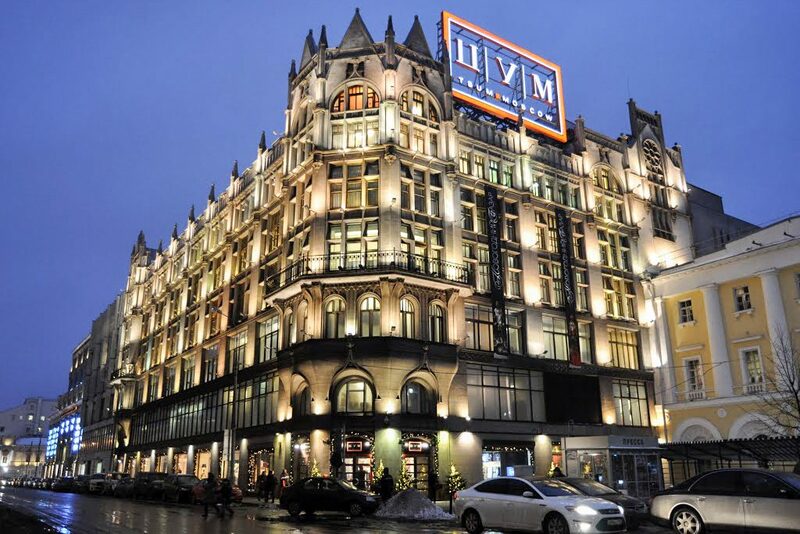 TsUM was built more than a hundred years ago in the far 1909 and was first Moscow Department Store originally aimed at middle-class customers. 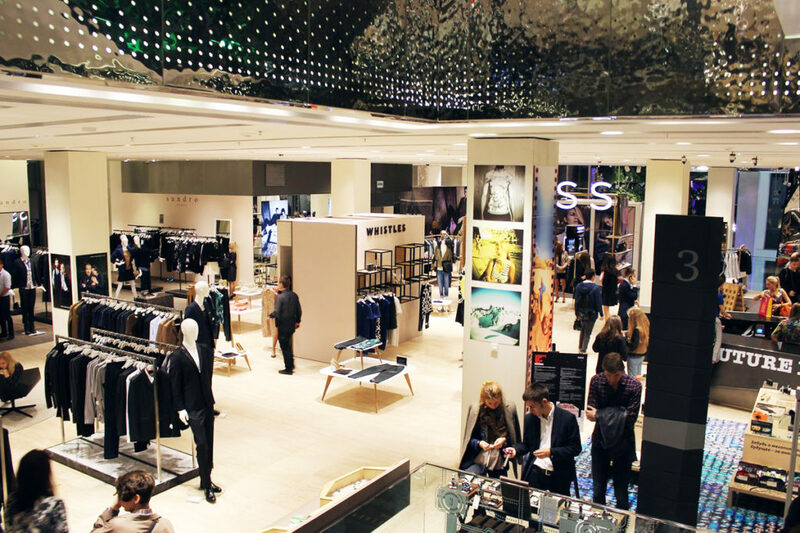 However, the time changed its marketing politics and now it is a luxurious shopping mall with recognizable designer labels and expensive goods. GUM is situated nearby TsUM, right on Red Square. 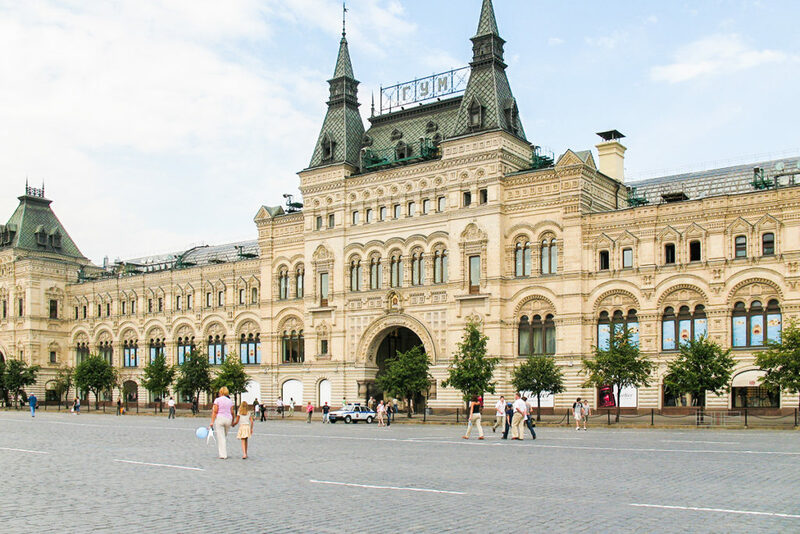 The monument of pseudo-Russian architecture of federal significance, Gum is one of the oldest shopping galleries in Moscow opened on December 2, 1893 at the place of the former merchant house. Nowadays, there are about two hundred shops, including world known designer brands, and restaurants, some made in Soviet style, spread over three floors of the building. Every winter, Gum opens an ice rink, situated right at the Red Square. 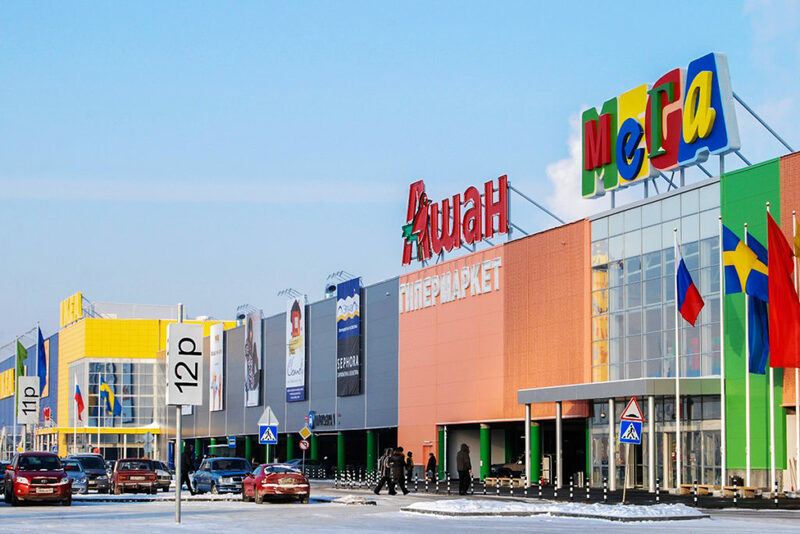 Huge department stores with household utensils are usually located out of the city on MKAD. Avoid those ones during weekends or at least choose early hours as they could be much overcrowded during rush hours. 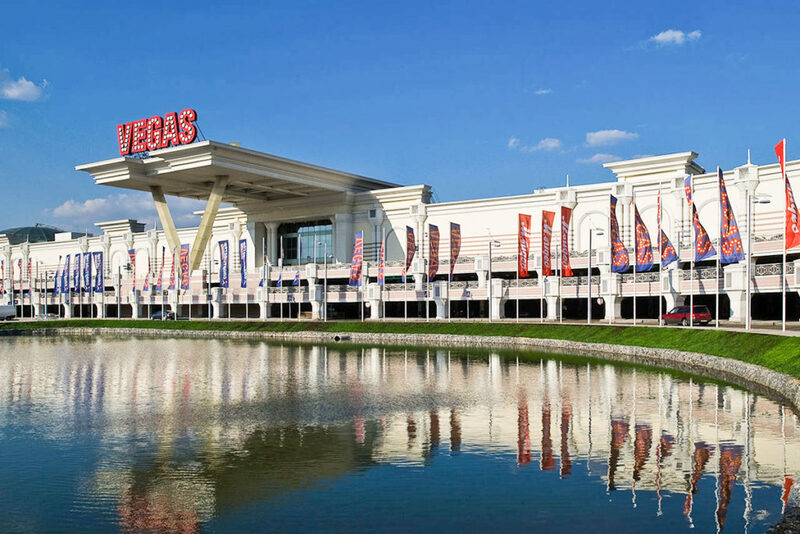 Crocus City is a huge territory with Tvoy Dom (a big store of home goods and furniture, opened 24 hours), Vegas (mall), cinema and concert hall. Located on MKAD (north-west). MEGA is a chain of giant places where you can buy almost anything in the world. There are three of them in Moscow, located at Khimki (north-west), Teply Stan (south-west) and Belaya Dacha (south-east). Shopping online in Moscow is always profitable since online stores don’t have to pay for expensive rent services. Yandex.Market is a leading online aggregator, selling mostly electronic devices. Ozon is the biggest online store in Russia, so-called «Russian Amazon». Utkonos is a food delivery service in Moscow. Ordering is available using their site. KupiVIP is an online fashion boutique with discounts and everyday sales.